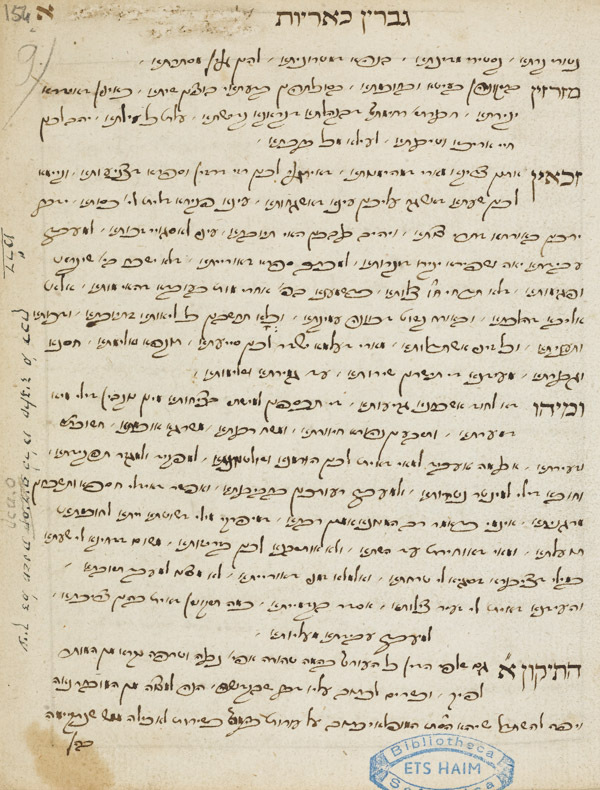 Copy of a letter concerning the writing of sacred texts of Moses ben Mordekhay Zacuto to the rabbis of Cracow. Copy of a letter concerning the writing of sacred texts of Moses ben Mordekhay Zacuto to the rabbis of Cracow. 18th century copy. Hebrew / Paper / 19,9 x 16,1 cm. / 9 ff. (1st f. blank) / Ashkenazic cursive writing.